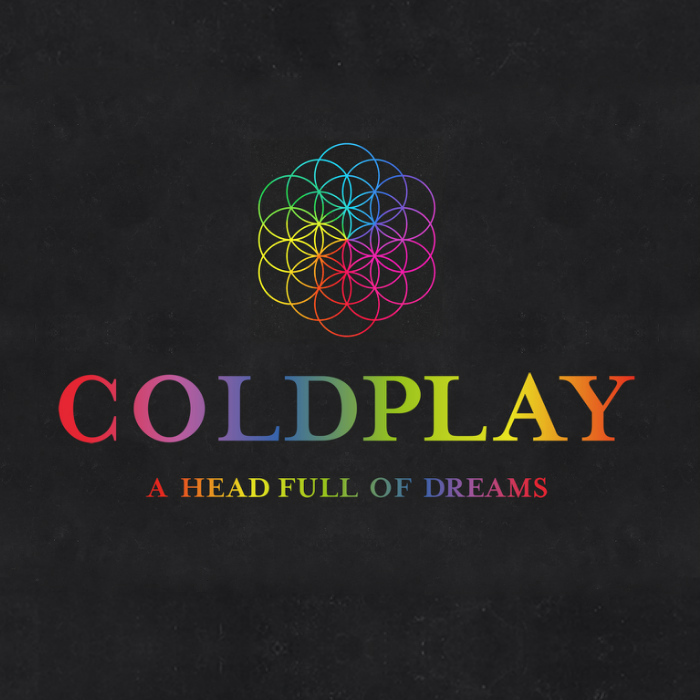 A Head Full of Dreams Tour is the seventh concert tour currently being undertaken by British alternative rock band Coldplay, launched in support of their namesake seventh studio album A Head Full of Dreams. The tour boasts extensive laser light and pyrotechnic visuals similar to the Mylo Xyloto Tour. The font used for the tour logo above is Mrs Eaves Bold. Mrs Eaves is a transitional serif typeface designed by Zuzana Licko in 1996. It is a variant of Baskerville, designed in Birmingham, England in the 1750s. In addition to A Head Full of Dreams Tour, Mrs Eaves typeface is also used in the following logos, movie posters or album covers etc., including: WordPress, The Prince of Mist, Sweet November (film), Reach Out, Cast Away, Barnes & Noble, Vineyard Vines, Inquisition Symphony, The Lumineers.